And that’s something Brecel can relate to having spent a few years under-achieving as a snooker professional, before finally seeing his talent blossom. The 20-year-old from Belgium reached two finals last month, at the German Masters and the Shoot Out, and though he was denied trophies by Martin Gould and Robin Hull, it surely won’t be long before he’s clutching silverware. 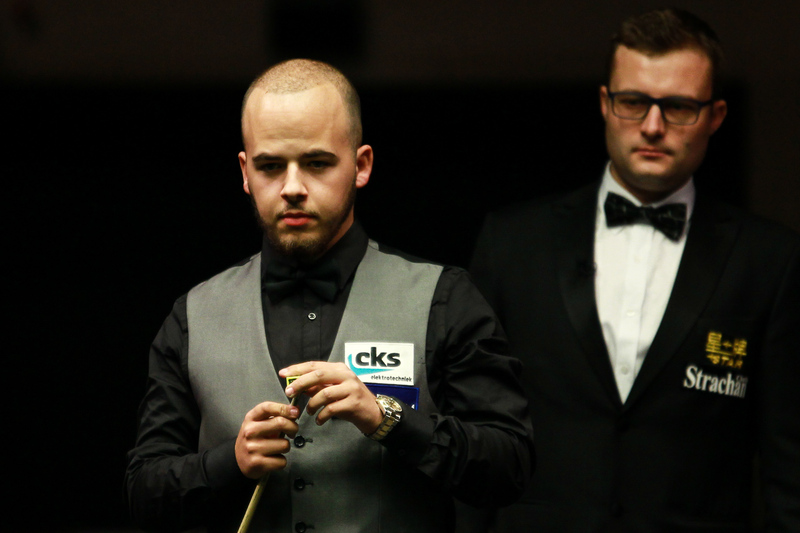 Full of the vivacity of youth, Brecel is exactly the type of character snooker needs. He has the potential to be a role model for young players not just in Belgium, but in snooker’s emerging markets across Europe. He is already well on the way to over-taking Tony Drago as the continent’s most successful player from outside the UK and Ireland. Away from snooker, his biggest passion is hip hop. “I love music,” he smiles from beneath his trademark flat peak cap. “There is never a day where I don’t listen to music. It inspires me, I listen whenever I can, including when I am practising. My favourite artist is an American rapper called The Game – at the moment I’m obsessed with him. Perhaps one day Brecel will follow in the footsteps of Shaquille O’Neal and supplement his sporting career by making rap music. But for now he is very clearly focussed on snooker, and indeed knuckling down to hard work has been the key to his climb up the ranking list over the last year. Brecel was seen on the snooker circuit as a teenage prodigy when he won the European Under-19 title at the age of just 14. A few months later, videos posted on YouTube of the gifted young cueman casually making 147s in practice underlined the extent of his ability. In 2012, at the end of his rookie season on the pro tour, he became the youngest player ever to compete at the Crucible, shortly after his 17th birthday. Later that year, the player nicknamed The Bullet reached the quarter-finals of the UK Championship. By his own admission, Brecel failed to dedicate himself to practise enough in the seasons that followed, perhaps thinking he had already ‘made it’. For two years he failed to reach another ranking event quarter-final. 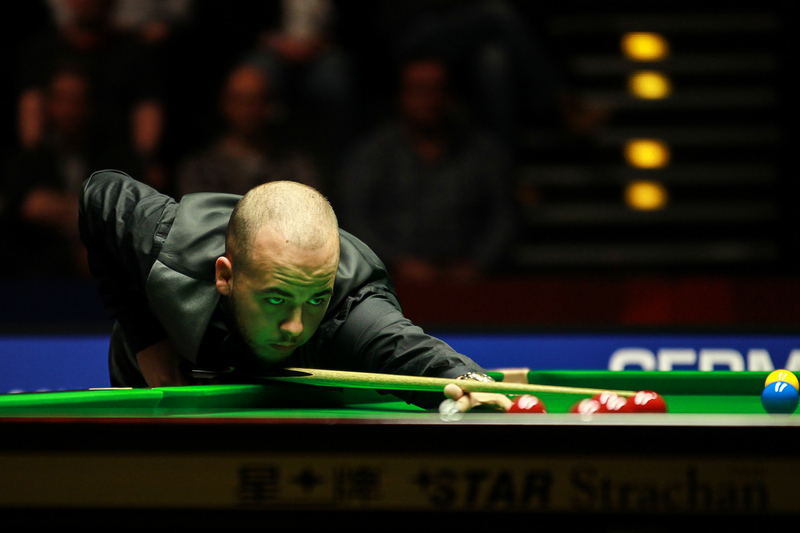 That changed when, together with influential coach Chris Henry, Brecel came to realise that success in snooker is always a product of hard work, and even the true greats like Ronnie O’Sullivan have never been able to rely on natural flair alone. “I have been much more consistent in my results since then, and that’s because my practice has been more consistent,” said Brecel. “I’m doing the right things and getting results. I have more experience now on the table and I’m a more mature person. I’m not working with Chris any more but he helped to send me on the right path. Getting into the top 16 is main goal but for now I just want to win games and enjoy it. Losing is not fun. “Getting to the semis of the Welsh Open last year was a huge step forward for me as it was the first time I had got that far in a ranking event. I remember everything about it. I learned a lot that week. I beat Selby, the world number one, in a televised match which was the best win of my career so far. And I nearly beat John Higgins when he was in top form. A few contemporaries have suggested that Brecel should move from his home city of Maasmechelen to the UK where he would find a wider pool of quality practice partners and cut down on the time he spends travelling to tournaments. And if he continues to improve then fans around the world could be seeing a lot more of Brecel – and hearing a lot more of his hip hop sounds.